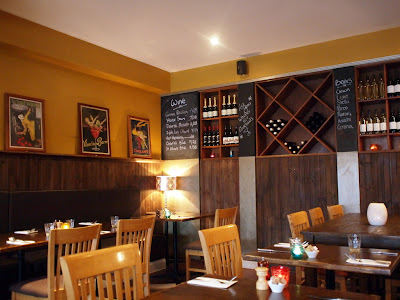 I've been meaning to post about a visit to The Garlic Kiss down at Mornington for some time now, but I always seem to get distracted by work, other restaurants and events, and by scuba diving. Which is ironically the reason M and I were down in the Mornington Peninsula a few months ago anyway. We received our Scuba Diver licenses that weekend, and returned last weekend to get our Open Water upgrade. Which means we can go diving by ourselves (not that I think we're really ready to) off a boat anywhere in the world. Not down into wrecks, or caves, or at night mind you, but it's a good start. We visited The Garlic Kiss on a recommendation from one of the dive instructors, and I must say, it certainly satisfied my need for somewhere warm, with comforting food that included a good steak. The selection of dishes isn't large, but the mix of pastas, soups and pub-like foods will hit most comfort food cravings. 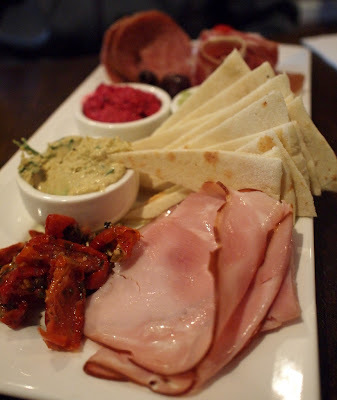 A day of learning and struggling with scuba gear left us ravenous so we started off with an Antipasto plate complete with olives, house made dips, a variety of cured meats and stuffed capsicums. The platter wasn't anything special, but it was decent value for $20. There was plenty of bread to offset the saltiness of the meats, but the mini capsicums stuffed with a small amount of soft cheese were the best part of the dish. 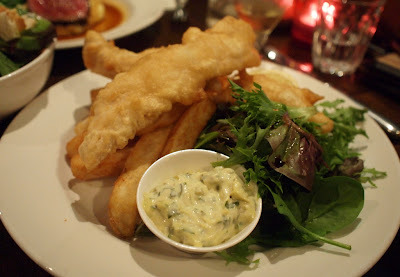 M ordered the fish and chips: beer battered flathead tails with house cut chips and tartare sauce. The serving size looked a little small to me, but the batter was light and not particularly oily. The chips were pretty good although I reckon beer-battering those too would have made them better. 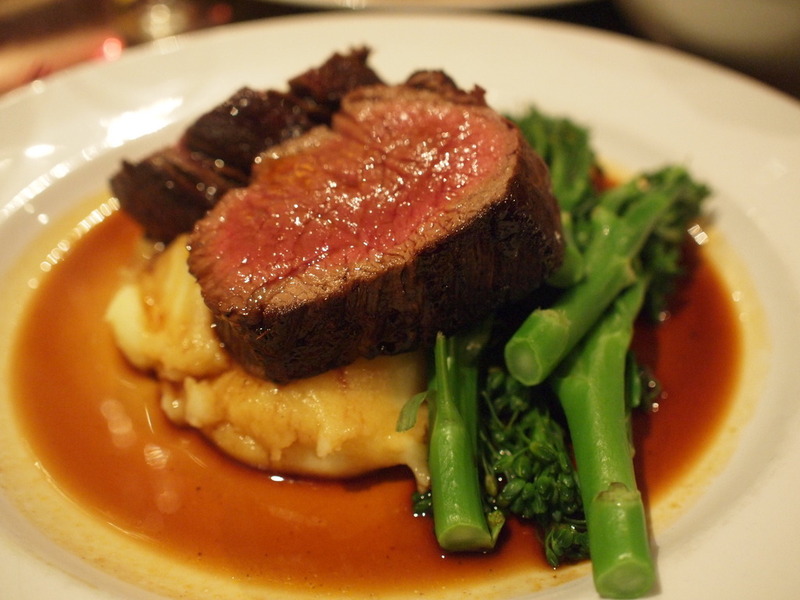 Seeing as I had a craving for steak, it was a no-brainer for me to order the eye fillet on the menu. Deliciously juicy, this was a very statisfying steak. Perfectly portioned with creamy potato mash underneath and crisp green broccoli, my only criticism is that the sauce was a little thin. Regardless, I was happy with the dish, and with the restaurant in general. 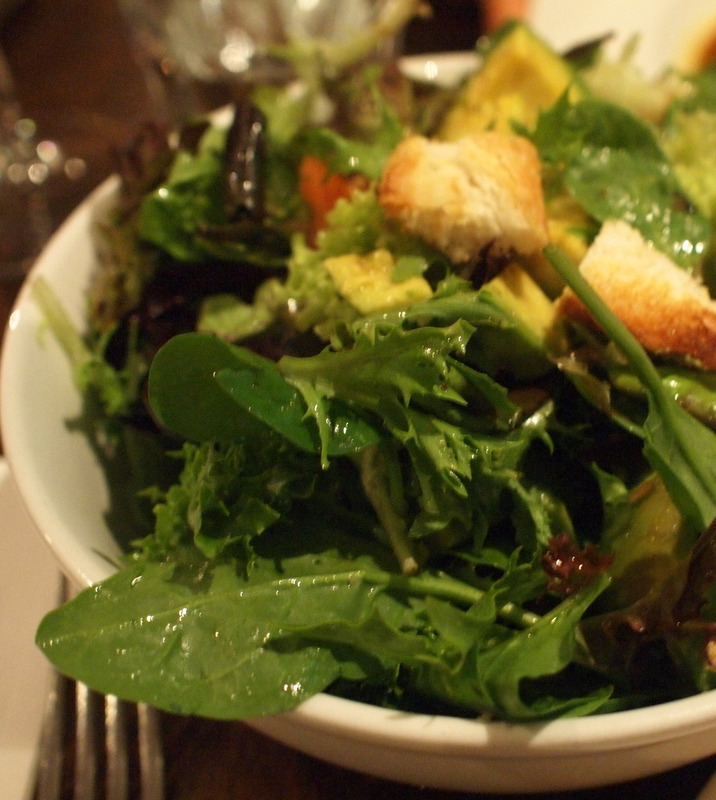 Not much to say about the salad. It was green, it was healthy, and it was ordered because we were feeling slightly guilty about how little greens we'd had that day. The Garlic Kiss is one of the highest rated restaurants in Mornington and while it wouldn't be considered great by Melbourne standards (simply because of the sheer number of restaurants in Melbourne), it was nevertheless good quality. With good, unfussy and comforting food, a soothing ambience and friendly service, it's a great place to have dinner on a weekend escape from Melbourne.